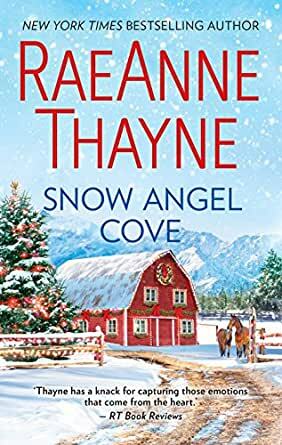 New York Times bestselling author RaeAnne Thayne welcomes you to Haven Point, a small town full of big surprises that are both merry and bright. Nothing short of a miracle can restore Eliza Hayward's Christmas cheer. The job she pinned her dreams on has gone up in smoke—literally—and now she's stuck in an unfamiliar, if breathtaking, small town. Precariously close to being destitute, Eliza needs a hero, but she's not expecting one who almost runs her down with his car! Rescuing Eliza is pure instinct for tech genius Aidan Caine. At first, putting the renovation of his lakeside guest lodge in Eliza's hands assuages his guilt—until he sees how quickly he could fall for her. Having focused solely on his business for years, he never knew what his life was missing before Eliza, but now he's willing to risk his heart on a yuletide romance that could lead to forever. Eliza Hayward is looking forward to making a fresh start in the tiny town of Haven Point – new job, new home – a second chance at life. Unfortunately, her plans go up in smoke and Eliza finds herself broke and homeless with Christmas only a few weeks away. Fate throws her in the path of Tech wunderkind & billionaire Aidan Caine, and he offers her a temporary solution. Eliza and her young daughter, Maddie, are about to spend Christmas with Caine. Eliza’s worried that she may be in way over her head, but with no other choice is trying to make the most of it. This is a very sweet romance perfect for a holiday light read. It’s totally predictable, but in the nicest way. Take a hard working young widow, her super-sweet daughter, and a lonely billionaire & then throw them together in a picture-perfect lodge nestled in the beautiful mountains, mix in copious amounts of snow and let the festive magic work its charm. While this is not a Christian Romance, it is very PG. It is a heartfelt story, of love and second chances. Very sweet. Throughly enjoyed this book. Will be reading more in this series. Great read. Emphasizes the importance of family and friends. 5.0 out of 5 starsGreta story, realistic characters, kept my attention.